Much of the art found in Maine is paintings of the rocky coast and quaint coves dotted with lobster boats. Rarely does one come upon a gallery for fine modernist work like Yvette Torres Fine Art in Rockland. Angelo Ippolito was a New York School artist. He didn't gain the renown of other painters in his circle, which included Jackson Pollock and Willem de Kooning, but he is admired enough to be in the Whitney and the Museum of Modern Art. Ippolito, who died in 2001, was a bold colorist. Fairfield Porter wrote of him, "Ippolito is one of the few Non-Objective painters who uses brilliant color as his material." The paintings are primarily landscapes, reflecting his travels and stays in the U.S. and abroad. Southwest Landscape from 1992 is drenched in harmonious reds and oranges, as is the land and sunsets in that part of the world. 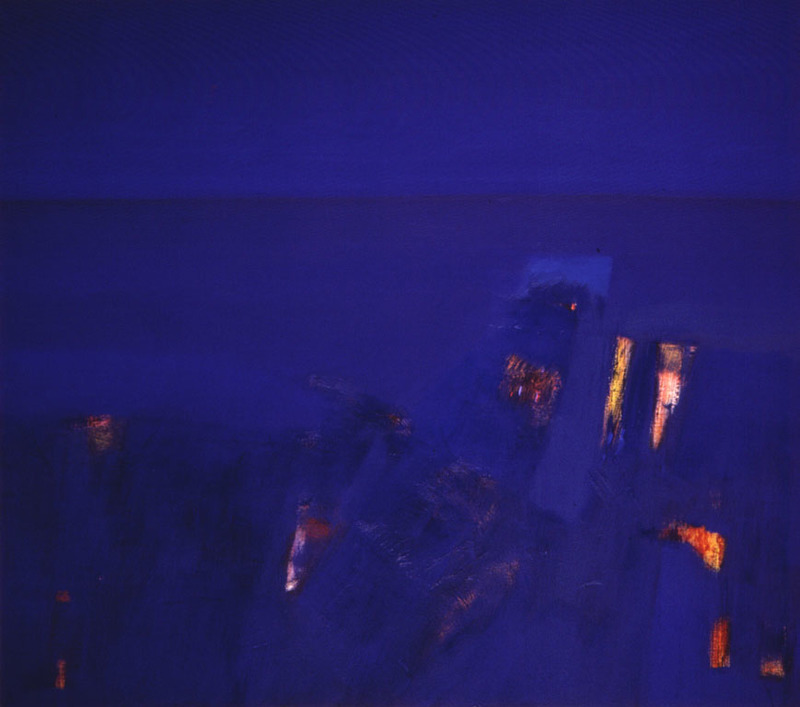 Aegean Night, from 1989, is a magnificent oil on canvas, six feet wide, in which one can get lost in the blue depths of the Mediterranean Sea.